Christmas and dieting are two words that are anything but synonymous. Aside from roasting chestnuts on an open fire and eating popcorn in between stringing it, the holidays are pretty gut-busting. Every family has their traditional Christmas dishes. Some are included because they’re delicious, and some of them are there just because they’ve always been even though practically no one likes it. 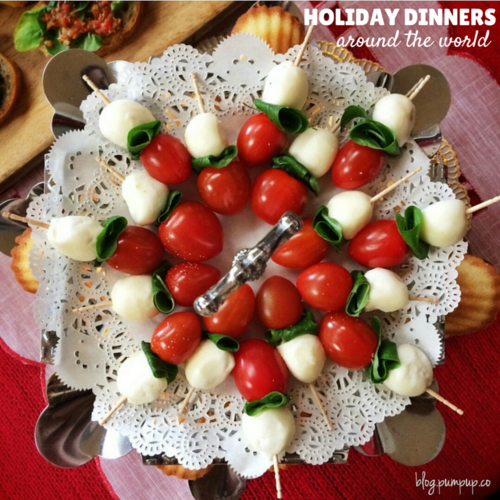 If you’re thinking of mixing up your Christmas dinner this year or are trying to subtly hint at your parents that you don’t want the ol’ turkey and mashed potatoes again, get some inspiration from other countries’ Christmas dinners. We can’t promise these dishes will all fall in line with your diet, or that you will like all of them –who doesn’t love whale skin with blubber?– but if Christmas dinner has lost its magic for you, we guarantee these will help get you pumped about it again! In Southern Italy it is common to serve fish on Christmas Eve, which is known as the Feast of Seven Fishes, and to fast during the daytime. Every village has its own customs as to when Christmas dinner is served, but Christmas Eve and Christmas Day meals are both a tradition. Christmas Day meals usually feature roasted meat; pasta; antipasti; sparkling wine; and panettone, a sweet citrusy-flavoured bread with raisins, and is sometimes served with a sweet cream made of marscapone and dried fruit known as zabaglione. Most Peruvians are Roman Catholic, meaning Christmas is a big celebration. And everyone does their part to give back. 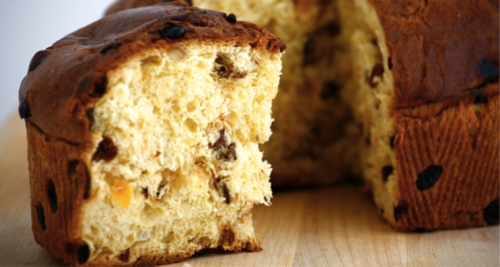 Townspeople make panettone and spiced hot chocolate and give them to the less fortunate, and later enjoy a midnight feast of their own on Christmas Eve. Turkey, fruit, and applesauce are common dishes as well as tamales. Of course, hot sauce is a staple at the dinner table. Adults drink champagne and children drink spiced hot chocolate. 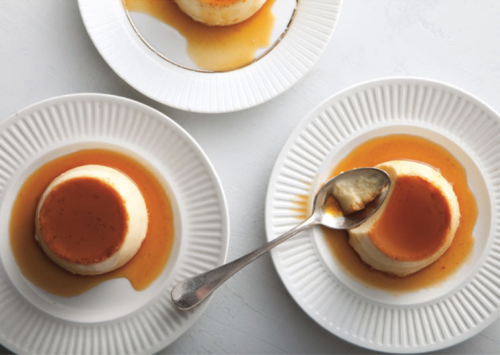 Flan and marzipan are common (although not diet-friendly) desserts. You have been warned! 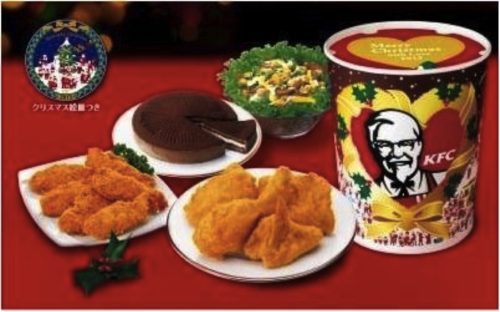 Christmas is not a widely celebrated holiday in Japan, but the Japanese still have one favourite Christmas tradition: going to KFC. On Christmas Day there are lines out the door and backed up orders at almost any KFC in any major city. People even call in advance to make sit-down reservations. This tradition began in 1974 when KFC ran a “Christmas Chicken” campaign, because turkey is much harder to acquire in Japan. Ever since then, hungry Japanese have been able to get a Christmas chicken dinner, which includes wine, chicken, cake, and champagne, for only $40! The Polish typically fast all day and have a feast on Christmas Eve. The meal is usually meatless except for a few fish dishes like pike, fish au gratin, and herring in sour cream. 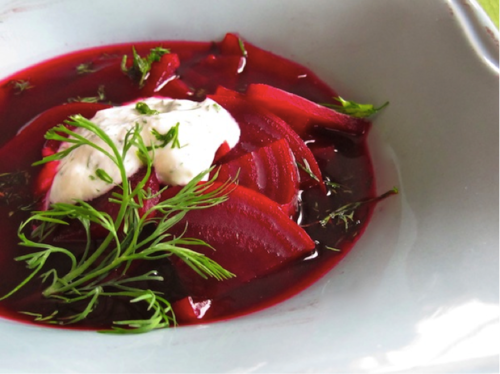 Hard-cooked eggs, boiled potatoes, fruit compote, and Polish borscht are staples at most dinner tables. “Kiviak,” the raw flesh of birds that have been buried and marinated in seal flesh for months until they decompose, is also an unusual Christmas dinner dish. 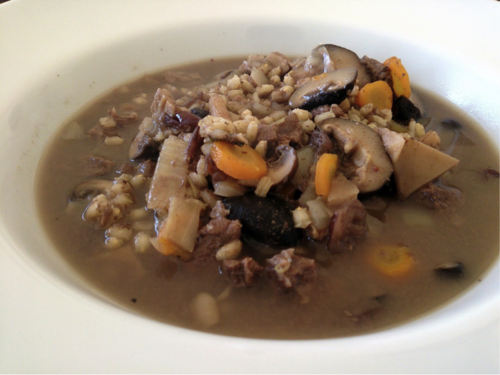 “Suaasat,” a soup/stew made from whale, seal, or reindeer with potatoes and onion, is one of Greenland’s less unusual dishes. Should you happen upon any reindeer or elk meat this holiday season, suaasat is actually a fairly healthy dish with an average of 45 grams of protein and only 7 grams of fat per serving. In many North American households, women take charge of Christmas dinner, but on Christmas night the men pamper the women, serving them coffee and food and stirring dinner for them!